New DS to feature two touchscreens? A couple of days ago we heard that Nintendo "might" be releasing a DS with two touchscreens next year. Then today, someone told someone else that the upcoming PSP 3000 will allow you to plug a PS3 controller in to play the games. So, a "dual touch" DS? According to Kotaku, "several industry sources outside Nintendo" (read: drunken suits in a late-night karaoke bar) claim the company is working on a new DS, with screens that are not only a bit bigger, but both featuring touch control. 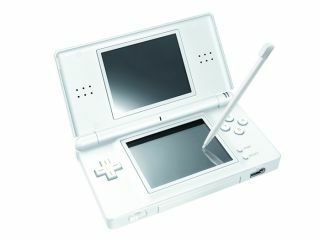 A Nintendo PR told TechRadar that a dual touchscreen DS was nothing more than "rumour and speculation". As for the PSP 3000's DualShock 3 compatibility, it's not quite such an outlandish idea. Reported to Max Console by a "Best Buy insider", the premise is that you'll be able to hook up a controller to the machine to play your games. Good idea? PSM3 editor Daniel Dawkins isn't sure: "While PSP has been crying out for dual analogue stick support – we've been banging on about it for ages on this very site – this 'solution' seems piecemeal at best. Are you really going to whip out your DualShock 3 and attach a PSP like some kind of teetering electronic top hat?" he said. "The separation distance between the DualShock and PSP is deceptively large, requiring some kind of rigid USB connection 'ladder' to hold things in place. Well, that, or a flexible cable, creating a new problem: you'd need to mount the PSP screen to keep it stable. It 'would' make sense for playing PSP 3000 games on TV, mind, not through the LCD screen. Officially, we've heard nothing, so best to file this under the same category as the 'break apart' wii-style DualShock pad rumoured to appear at E3." The "insider" also went on to suggest that composite 480i cables could be used to hook the PSP 3000 up to a TV, rather than having to use a component 480p, which would at least be sensible. Expect updates as and when anything becomes official.